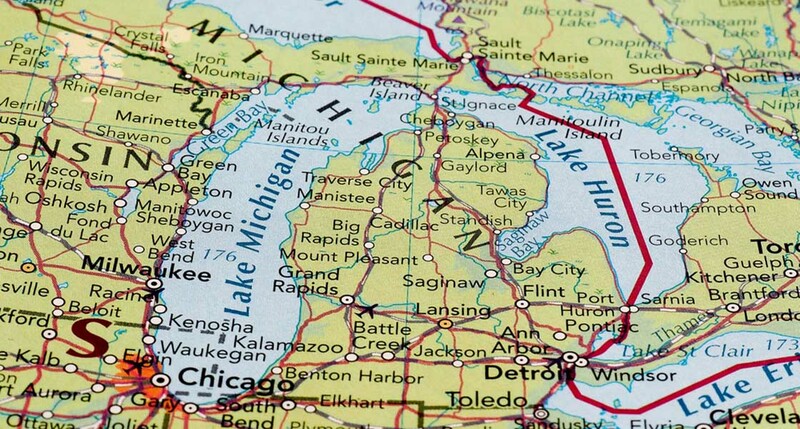 The League of Women Voters has challenged Michigan’s legislative maps, saying they were unfairly drawn for Republican benefit and to limit Democratic influence. A federal trial is set to begin Tuesday in Detroit. DETROIT – New evidence submitted on the eve of a landmark trial challenging Michigan’s GOP-drawn legislative districts appears to strengthen the claim the maps were drawn in 2011 for partisan, Republican gain. Even as they worked to solidify Republican majorities through favorable legislative and congressional maps, the memo also cautions Michigan Republicans who draft the districts to be careful of what they say publicly, lest they be accused of gerrymandering. “Avoid misstatements in public or emails: (Keep it simple, such as ‘We want a FAIR process that follows all the requirements of the law.”), the memo said. That map showed the district having a plurality of support for President Obama rather than a majority. The GOP held the seat until last November when Democrat Haley Stevens beat Republican Lena Epstein. Incumbent David Trott, a Republican, did not run for reelection. In another, Timmer writes that, in one version of the state’s new congressional maps, “(a)ll GOP seats improve except” the two most GOP-laden districts in the state. The documents are part of new evidence submitted Saturday to the U.S. District Court in Detroit where a three-judge panel will be opening the case for trial on Tuesday, if there is no last-minute delay. Attorneys representing plaintiffs The League of Women Voters, which filed the lawsuit in 2017, got the evidence last Thursday. In its lawsuit, the League of Women Voters, alleged that 34 state Legislature and congressional districts were illegally drawn by Republicans back in 2011 to favor the GOP and limit Democratic seats. The suit attacks Michigan’s method for creating legislative districts, which has long given the party in power in Lansing leeway to draw legislative and congressional maps. Following the 2010 Census, the party that controlled Lansing was the GOP, which drew the maps in secret negotiations the following year. The new evidence also shows that the GOP map makers had to assuage fears of existing Republican officeholders. Some were upset that their Republican majorities were being diluted to aid other Republicans. One of the so-called "losers" was Rep. Justin Amash in the 3rd Congressional District. But the intent was to help Rep. Tim Walberg in the 7th Congressional District. "No question the (3rd) district is a bit less GOP, but not so much so that it is in jeopardy of going south on us. It was intended that the new 3rd would become slightly less Republican in order for the Walberg seat to become slightly more so," Timmer wrote. A 2018 Bridge analysis of voting patterns and district boundaries, using the same data used by Timmer and others, show that Amash's district went from nearly 60 percent Republican to 57 percent with the changes -- but Walberg's moved from 50.2 percent Republican to 52 percent. Neither has not lost since the changes. Among other emails uncovered earlier in the case, GOP consultants bragged lines were drawn to give Republicans a “solid 9-5 [congressional] delegation” and another joked about configuring a district so it’s “it’s giving the finger" to former Democratic U.S. Rep. Sandy Levin and discussed cramming “Dem garbage” into four southeast Michigan districts. The emails do show, though the plaintiffs' attorneys do not highlight it, how the map makers rejected a request from a prominent GOP donor to create a majority-Republican state representative district anchored in the five Grosse Pointe communities. Jon Cotton, a healthcare executive from Grosse Pointe Farms, had asked Republican officials if it was possible to create such a district. But Timmer argued that to do so would put the plan afoul of the federal Voting Rights Act by reducing the number of districts in which minorities -- African-Americans, Hispanics and others -- were in the majority. There were 12 such districts in 2010 and Cotton's suggestion, if followed, would have lowered that to 11. The exchange also reveals how aware Republican operatives were that litigation over the maps was likely: Eric Doster, an attorney for the state GOP, anticipated that the memo "would fall into the wrong hands. We do not want to unnecessarily interfere with the inevitable litigation." He was correct; the trial begins at 9 a.m. Tuesday before a three-judge panel that last week rejected a proposed settlement as well as attempts to delay the trial. On Monday, U.S. Supreme Court Justice Sonia Sotomayor denied a request to delay the trial, according to Gongwer News of Lansing. Attorneys for Republican legislative leaders who joined the case had sought the delay, saying the Supreme Court's rulings in upcoming gerrymandering cases from North Carolina and Maryland could have a profound impact on the Michigan case, possibly making it irrelevant and a waste of time and money. Hearing the case in Detroit's federal courthouse will be Judges Denise Page Hood and Eric Clay, who were appointed by President Bill Clinton, a Democrat. They are joined by Gordon Quist, who was appointed to the bench by President George H.W. Bush, a Republican. Way past time to put an end to gerrymandering no matter the party. It is time to restore the voice of the voter to our elections. Politicians should earn their right to serve not have it given to them. “Now that we had a spectacular election outcome, it’s time to make sure voters...uh, I mean, Democrats... cannot take it away from us in 2011 and 2012."